The annual Birmingham Jewish community awards event will be on Oct. 29 at Temple Emanu-El. The evening is a combined effort of the regional Israel Bonds office, the Birmingham Jewish Federation and the Birmingham Jewish Foundation. Israel Bonds will honor Rabbi Jonathan Miller, who retired this summer after 27 years as rabbi of Temple Emanu-El. Miller has been a passionate advocate for Israel and the welfare of the Jewish people, at home and abroad. He has advocated for Jewish values in the public square and is known for his writing, from regular columns in local publications to his book, “Legacy,” a collection of eulogies delivered while serving at Temple Emanu-El. He and wife Judith now reside in Maryland, where they are within bicycle distance of their three children and two granddaughters. The N.E. Miles Lifetime Achievement Award will be presented to Edward Goldberg. This award honors people who have demonstrated a lifetime of leadership giving to the Federation campaign and who have endowed their campaign gift through the Birmingham Jewish Foundation. 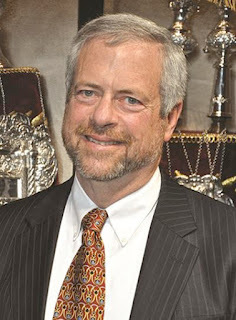 Goldberg is a past Annual Campaign chair and Federation president. He also has served as vice president of the N.E. Miles Jewish Day School and Temple Beth-El. Jerry Held will be presented the Federation’s Susan Goldberg Distinguished Volunteer Award. This award goes to outstanding individuals who have distinguished themselves through leadership and service. Susan Goldberg, wife of Edward Goldberg, passed away while serving as Federation president. Held recently completed a two-year term as Federation president, after serving two additional years as co-president with his wife, Ginger. Before that, they served two years as Annual Campaign chairs. The Joanie Plous Bayer Young Leadership Award will be presented to Jahan Berns, a Federation board member and “tireless” advocate for Israel. An attorney at Sirote and Permutt, Berns is a native of Uganda, daughter of a famed military leader who helped overthrow Idi Amin. He was assassinated while trying to become president. Berns converted from Islam to Christianity at a young age, attended law school and moved to London. After arriving in Alabama, she became a paralegal at Sirote, then inspired by the late Morris Sirote’s story, finished law school and became an attorney. In 2016, she participated in a Jewish Federations of North America women’s trip to Israel and was presented with a plaque from Operation Lifeshield, for a bomb shelter near the Gaza Strip that she had raised funds for. The event is free and open to the community. There will be a reception at 4 p.m., and the event will begin at 5 p.m.